A fever, the sniffles, a weird rash — you know the drill. Cold and flu season is officially upon us, along with everything else cold temps and enclosed spaces bring along with them. If you’re a newbie parent, it may sound strange to even question going to the doctor. If your kid is sick, you just go, right? Well, there are a few factors to consider. For starters, the doctor’s office is full of other kids who are likely sick with something your child does not have — something contagious. Also, there are things that a doctor’s visit can’t really fix, like a virus. Plus, the hassle of travel and paying your copay for no real reason is a huge bummer. So how do you decide whether or not to make an appointment? We checked with a few experts to find out what clues our kids give when they really need medical attention. Here are a few common ills and whether or not a doctor’s visit is in order. Of course, you should always consult with your child’s doctor and use this only as a general guideline (in other words, don’t use this as a substitute for medical advice from a physician). Fevers can be alarming, but they really are secretly kind of awesome. When we’re ill, our immune systems often crank up the temperature in an effort to fight off the sickness. This not only results in a fever, but it helps our bodies fight off the bacteria or viruses that are making us miserable. While kids can tolerate (and benefit from) low-grade temps, that may not be the case once the mercury rises. “Although fever is generally not a good predictor of significant illness as children with uncomplicated viruses often have fevers to 103 or 104, persistent high fever (greater than 102) with significant pain always needs a doctor’s attention,” says Dr. Daniel L. Kopp, a physician with Creative Health Care Management in Minnesota who has practiced family medicine for over 25 years. Childhood rashes aren’t uncommon, but they don’t always mean a doctor’s visit is in order. Long explains that kids who have a rash her parents have seen before (such as eczema) don’t need to be seen. However, if parents aren’t sure or they’re otherwise concerned, make an appointment just to be on the safe side. Vomiting and diarrhea aren’t typical reasons you want to bring your child in (in most cases, the causes are viral and therefore cannot be cured by antibiotics). However, if you feel your child is becoming dehydrated, they may need to be seen. Signs of dehydration include a dry mouth or tongue, infrequent urination, dark urine, fever, unusual sleepiness, excessive crankiness, lack of tears when crying, sunken eyes, cheeks or soft spots and skin that doesn’t bounce back after being gently pinched. Breathing issues almost always warrant a visit, says Kopp. He says that progressive breathing difficulties, with or without wheezing, should be a red flag that your child needs a same-day call. While influenza is a virus, it can also be treated with antiviral drugs like Tamiflu, which help reduce the illness’s duration. If your child is more at risk of serious complications due to an underlying disease such as asthma or is immunocompromised, a visit may be a good idea. Do it quickly, though — the drugs work best if taken within one or two days of symptom onset (although they can still be effective if taken later). Keep in mind that influenza symptoms can be similar to those of a simple cold, but they’re usually quite a bit worse. They often include fever, fatigue, headache, body aches and pains, sore throat, cough, runny or stuffy nose and generally feeling super-terrible. Colds are annoying, but the flu can make you or your child feel seriously sick. Of course, this list is not all-inclusive, and always pay attention to your internal radar that tells you that something isn’t quite right. Bicycle accidents, broken bones, cuts that won’t stop bleeding and head trauma all probably mean you should head to the emergency room. If you ever question whether it’s time to take your child to the doctor or to urgent care, you can usually phone your child’s doctor to speak with a nurse or a doctor over the phone, who will help assess whether or not it’s a good idea to head in. 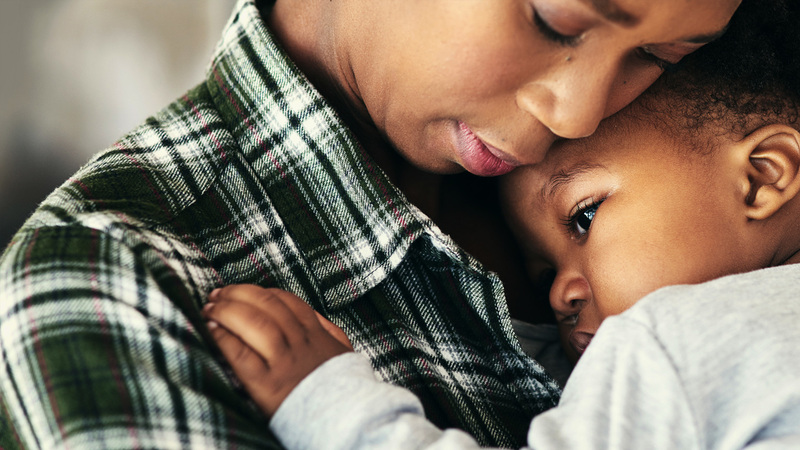 It can sometimes be hard to decide if dragging your little one into a doctor’s office is worth it, but if your gut (or your doctor) says you should, you probably should.